COLEGAS tells the story of three young people with Down Syndrome who love movies and work at the video library of the institution where they have always lived. 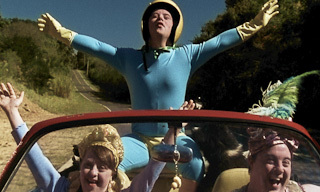 One day, inspired by the film THELMA & LOUISE, they decide to run away using the groundskeeper's old car to experience freedom for the first time. They travel to uncommon places in search of three simple wishes: Stalone wants to see the sea, Aninha looks for a husband, and Marcio needs to fly. During their search, they will embark on several adventures as if life were just child's play. 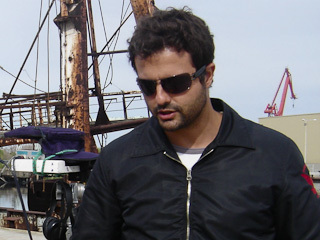 Marcelo Galvão began his career as an ad writer, graduating with a Publicity and Advertising degree from the Fundação Armando Alvares Penteado. In 1999, he went to New York to study filmmaking at the New York Film Academy, majoring in production design and screenwriting. Upon his return to Brazil, he worked as a stage manager at many film production companies. In 2001, Marcelo Galvão set up Gatacine (@gatacine), a São Paulo-based production company specialized in features, TV series and spot ads.